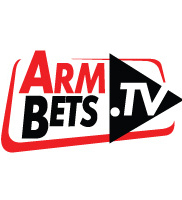 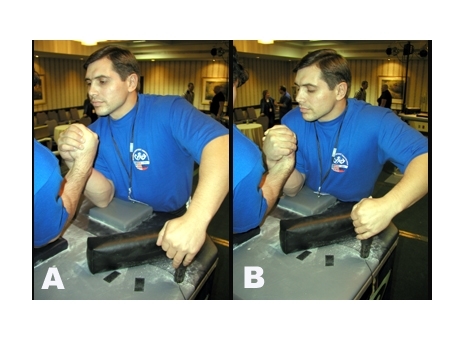 Armwrestling is a sport in which proper training can lead you to the top! 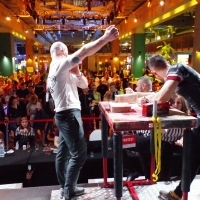 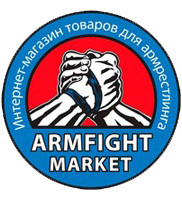 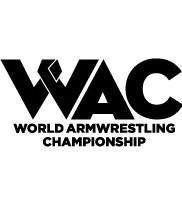 That is why we decided to prepare and develop a series of armwrestling training sessions. 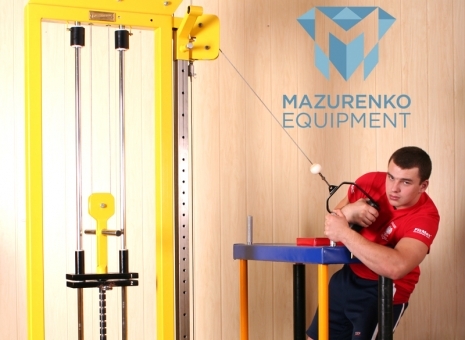 Specialists, masters and trainers, using simple devices,will show you how to start and utilize specialized equipment to show you how to prepare for the most important competitions. 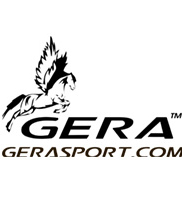 We have prepared a special search engine for you here. 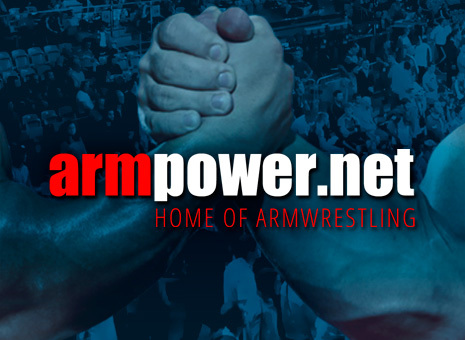 This way you can find the materials and tips that are relevant to your style of wrestling or your level of progress. 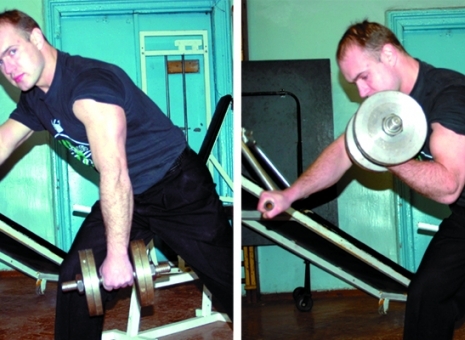 Over the top using back muscle. 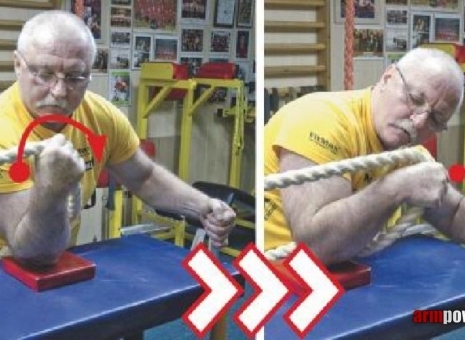 To meet your expectations, we would like to present to you a series of exercises that don’t require specialist equipment. 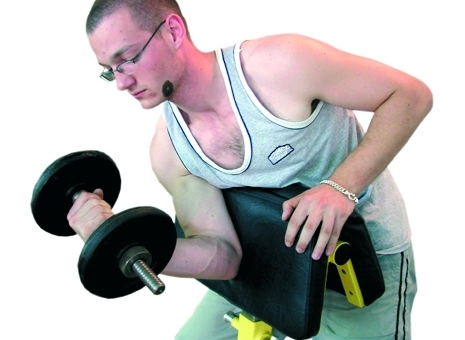 They can be performed at the gym, at home or in your basement. 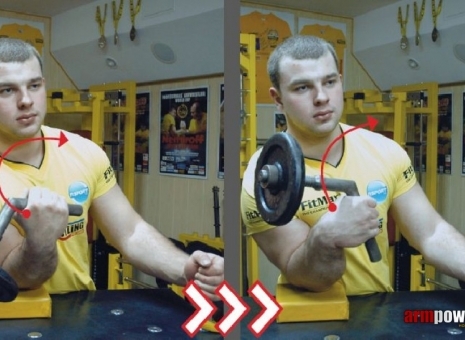 Mariusz Grochowski – Champion’s Training. 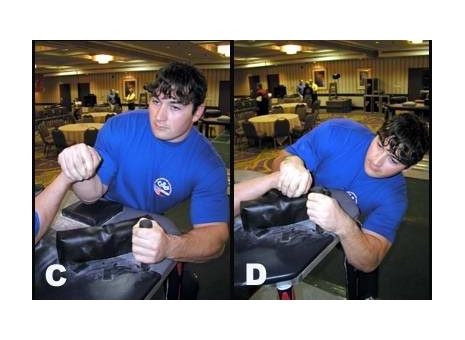 Over the top with transition to hook. 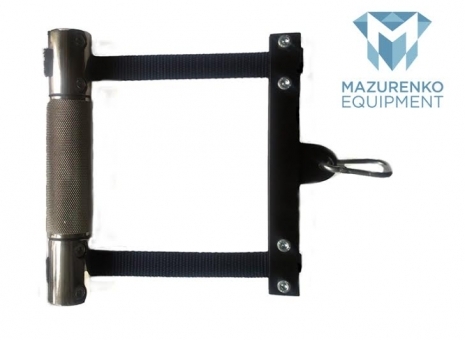 CONIC HANDLE - It perfectly cooperates with a regulated lift. 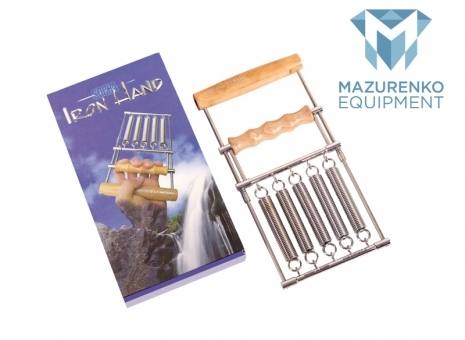 Its special design, increases strength of the wrist and fingers. 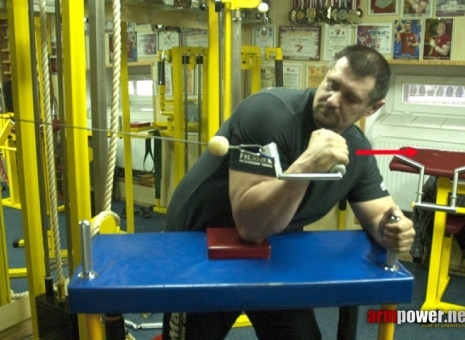 Fighting with triceps – another technique that requires not only strength and wit, but also particular technical pointers. 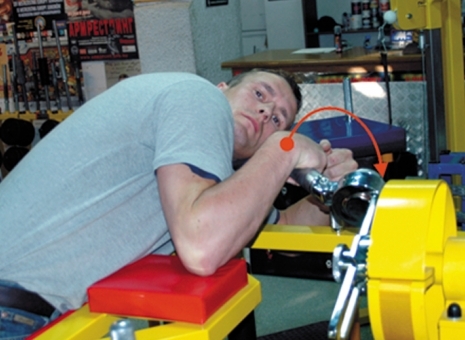 Training performed by World and European Champion and also coach – Alex Mundziszwili (a.k.a Lexo). 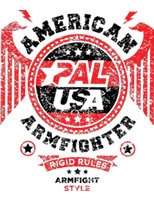 Alex is a typical over the top fighter. 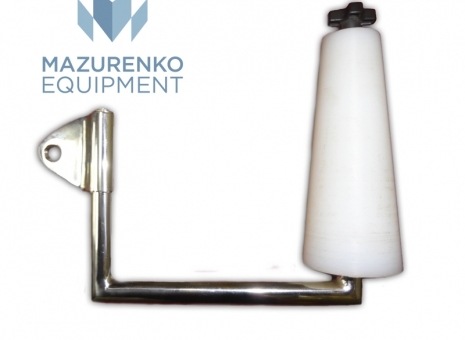 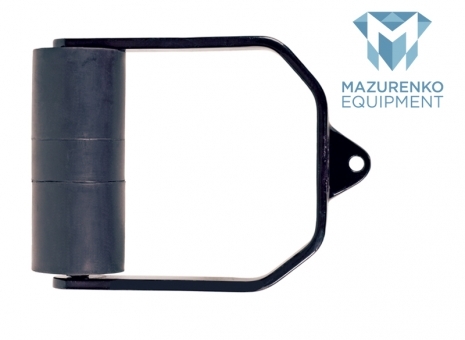 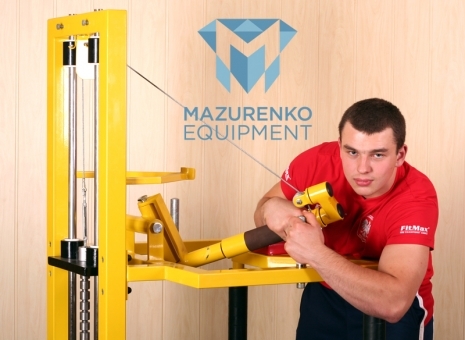 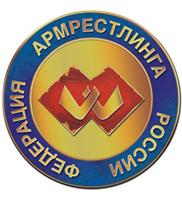 Train with Mazurenko equipment - Mazurenko Machine. 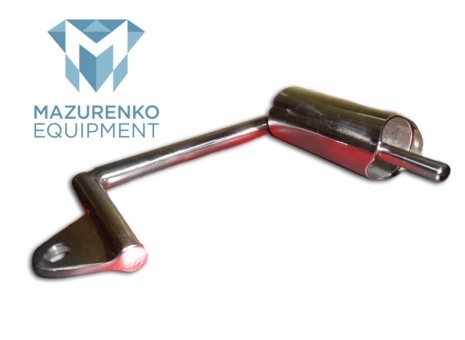 The Mazurenko Machine strengthens all the muscles needed when fighting with the hook technique. 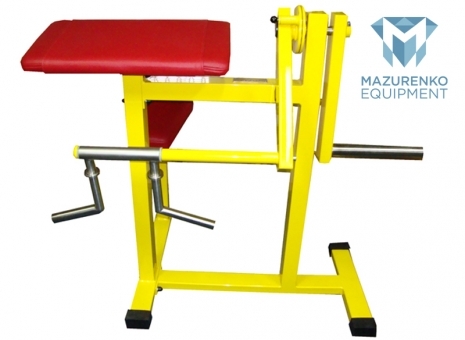 Butterfly – machine for exercising chest muscles. 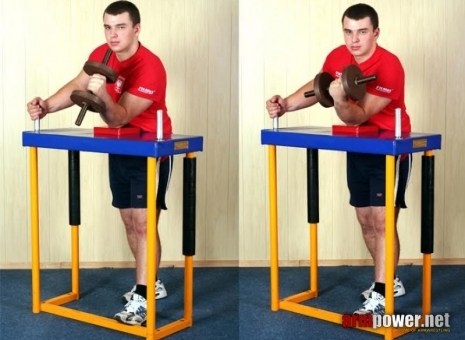 Sets of Exercises for the Beginners. 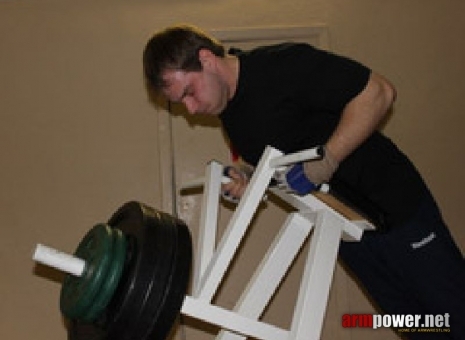 In this section you will find all exercises that must be present in an arsenal or every beginner. 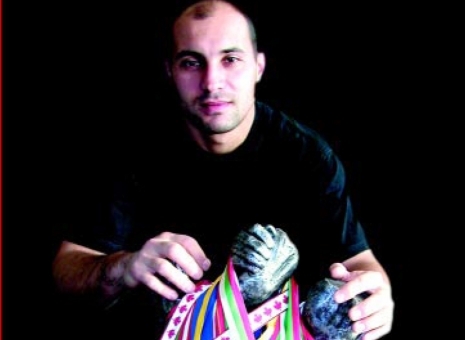 Abdula Eldarovas (Russia) favorite technique is the SIDE HOOK. 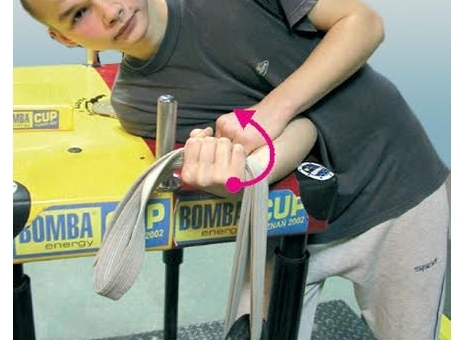 Thanks to this technique she had won the World Championships in 2001, 2002, 2003 and also The European Championships in 1998, 1999, 2000, 2001, 2002 and 2003. 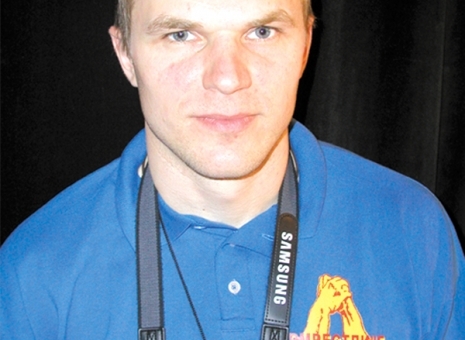 Taras Ivakin (Ukraine) is competitor, fighting in various styles of top roll. 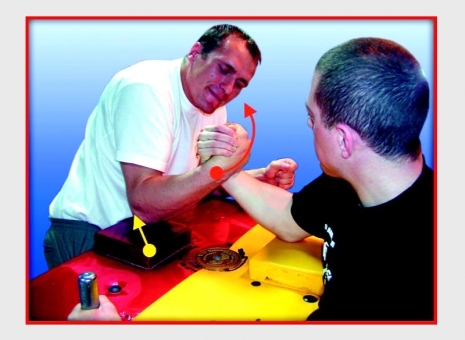 This time he shows top roll and side pressure. 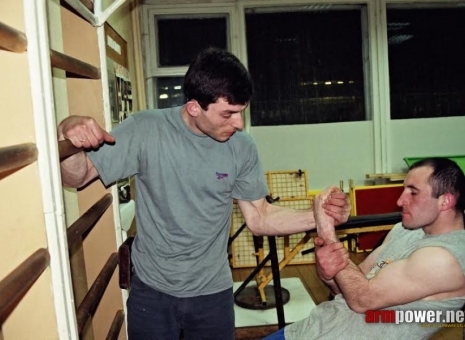 I have been practicing sports acrobatics since early childhood - Jewgienij started, which of course gave me great opportunities in armwrestling and showed my true potential. 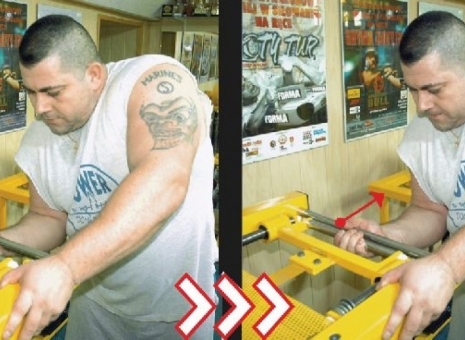 Andrzej Głąbała – unusual armwrestling training! 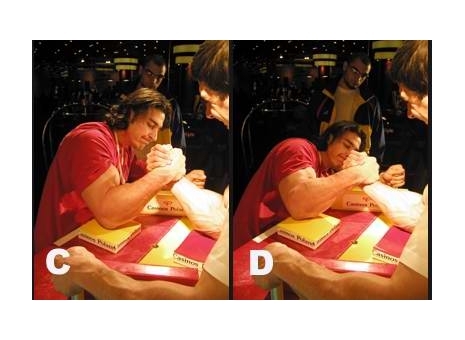 Is it worth to star when you are over 40 years old? 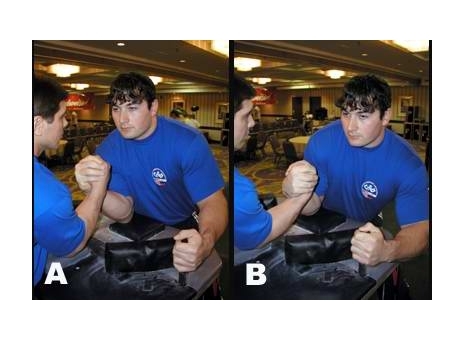 Specialized armwrestling exercises – the way to success!